Quent Boyken is a shareholder of Belin McCormick whose practice emphasizes corporate and general business law, and business acquisitions and transactions. Mr. Boyken specializes in corporate acquisitions for closely held companies. He has been recognized by Chambers and Partners and The Best Lawyers in America® for his corporate practice. Mr. Boyken is a Certified Public Accountant who brings a multidisciplinary approach to his corporate transactional practice. Prior to attending law school, he spent three years working as an auditor for Coopers & Lybrand in their Minneapolis-St. Paul, Minnesota office. Mr. Boyken also taught undergraduate-level accounting courses at the University of Michigan while he was a law school student in 1980-82. 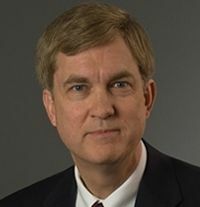 Mr. Boyken has served several terms as a member of the firm’s Management Committee, including the current term, and has served as the firm’s President in 1994, 2002 and 2003. Mr. Boyken has been active in professional, community, school and church organizations and has been involved in Des Moines’ successful neighborhood revitalization programs in his capacity as general counsel for the Neighborhood Finance Corporation, which he helped organize in 1990.